On Monday, October 3rd, the Eastlake Wolves JV squad played the Bothell Cougars at Bothell High's football field. It was a tough night for the Wolves, as they lost their first game of the year with a score of 20 (Wolves) to 46 (Cougars). The score does not really reflect how the game unfolded, as it was a tale of two halves. Mistakes and missed opportunities were the themes of the first half, where Bothell outscored Eastlake by 27 points. The second half was a different game. The Wolves traded touchdowns and actually ended up outscoring Bothell by 1 point. Although the team lost, they showed heart and grit by not giving up. The first half of the game was mired in penalties, missed opportunities, fumbles and blocked punts. Eastlake had 9 penalties for a total 70 yards, where many of the penalties stalled drives and negated some spectacular gains by Nate Sutter (4) and gutsy running by Andrew Plummer (36). Bothell was firing on all cylinders, playing near flawless ball, and aggressively bringing pressure up the middle when on defense. At halftime, the score was Bothell 33 and Eastlake 6. The first half was not without a few highlights and notables from the Eastlake Wolves JV team. On defense, Garrick Teglovic (51) and Sam Marks (62) delivered several bone crushing tackles for losses, and Sutter had a 71 yard pick-six to put Eastlake on the board. Nick Villegas (70) had our only blocked extra point of the evening. On the offensive side, Plummer ground out the yards and absolutely bowled over anyone in his way. Several of Eastlake receivers had notable catches: Sutter, Jack Reischman (30), Soham Paul (3) and Jack Titus (7). Alot can be learned about a team when it is faced with adversity, and the Eastlake Wolves proved why they are a championship caliber team. Although they did not win, they also did not give up. In fact, they came out and played a much different game in the second half. The Wolves only had one penalty the entire second half. Also, the Wolves scored touchdowns on their first two possessions and they had Bothell feeling less confident about their hold of the game. Unfortunately, when a team is that far in the hole, any swings in momentum can be devastating. 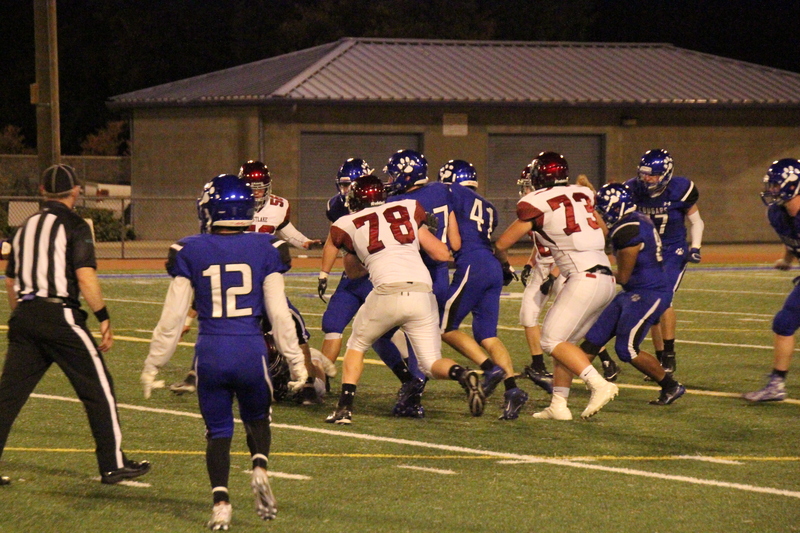 Bothell was able to answer each Wolves touchdown with long breakaway runs. One was on a kickoff return (85 yards) and the other was a combination of three sequential long yardage plays. Broken tackles got the best of us in the second half. Similar to the first half, the second half had some notable plays by the Wolves. Plummer continued to punish Bothell's defense with after contact yards. 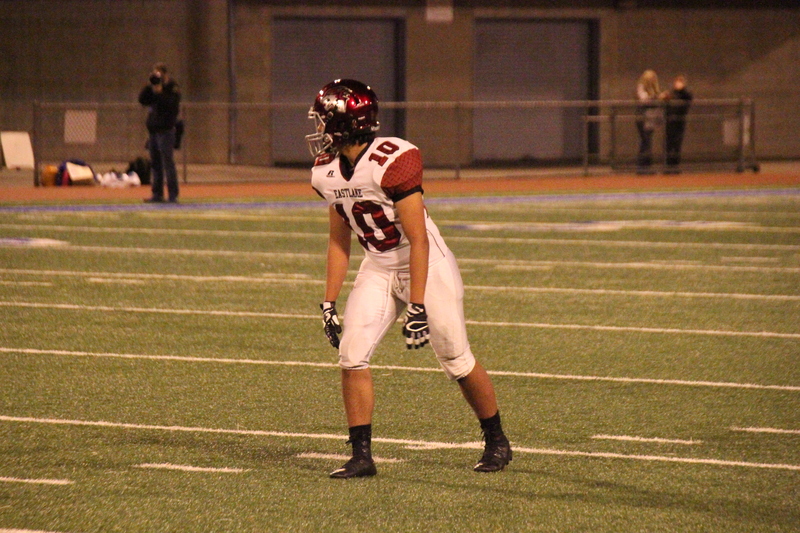 We also saw Vini Monteiro (17) get into the offensive action with a nice punt return and several receptions. 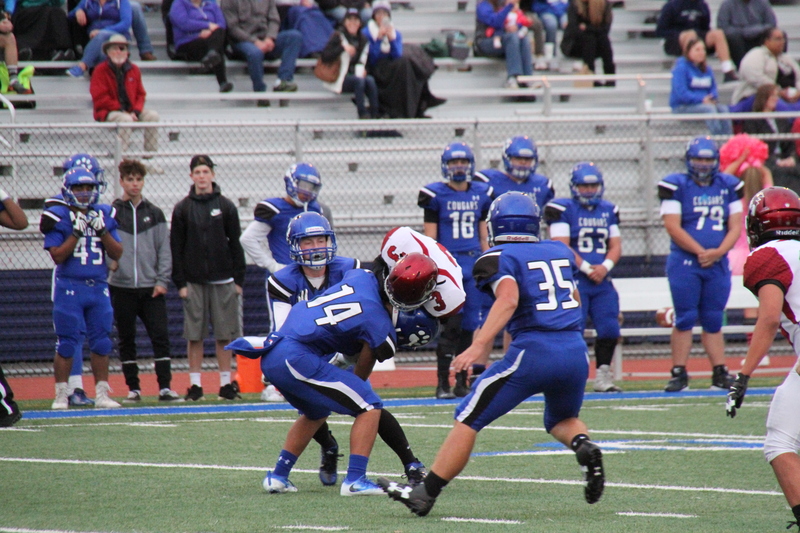 On the defensive side, Carter Cox (32) had a few impressive hits and tackles as well. The final score was Bothell 46 and Eastlake 20.